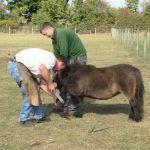 The Ponies and Donkeys living at Odds Farm Park childrens farm have just had their hooves trimmed in their 8 week ‘end of summer’ visit by the Farrier. This special animal pedicure ensures their feet stay healthy and don’t become overgrown or cracked. Unlike horses that go on public road, Odds Farm Park’s Ponies and Donkeys stay on the farm for children to meet and don’t need horseshoes. 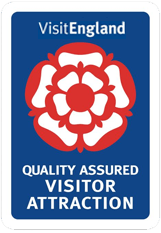 Take a look next time you visit on you day out with the kids. And during the winter, their hooves only need trimming every 10 weeks as they grow slower in cooler weather. Providing great family days out, Odds Farm Park can be easily reached from Oxfordshire, Buckinghamshire, Berkshire, North London and West London. To arrange a day out with the kids, their family days out website is www.oddsfarm.co.uk.